It is so easy to use the wrists to move the clubhead backwards from adress. Consequently the shaft and the left arm are immediately no longer in line. I see it much too often. Do you remember the heavy axe drill from Shawn? Holding the axe in front of the body, the axe is pointing nearly 90 degrees right. The initial move follows pretty good that direction and during the backswing, the ACU follows that plane. That leads easily to the desired steep backswing, not behind the body. It may be a good plan, to imagine to perform the backswing like the heavy axe, despite the club is on the ground at adress as normal. I tested that with two guys with the typical issue to swing too much to the inside, with great success. 1. the grip is critical to the success of this drill and the swing that it's trying to help you build awareness of. The wrists are set to unhinge in a specific way relative to the drop and fall into the release.. Might be worth putting your grip videos/ and insights (at least some of them!) into this thread for a reference. 2. the motion of this drill works best if you have a clear sense of what your target focus is .. it's motion/momentum relative to target picture and intention.. Might also be worth putting a marker down or intermediate target to help your brain 'light up' with the heavy axe working through something ..on its way to someplace..
3. and the elephant walk drill to maybe be a complementary drill or motion pattern to help put the movement of your stance and weight dynamically into your concept of this ..
not that you need any help or suggestions from me .. lol ..
but I believe that the WIG ideas work best in a sort of dynamic thinking/concept .. and perhaps as a sort of combined exercise... or associated later to a sort of 'analogous task' to keep it filed in one's mind. My Intention of the thread was not something for the entire swing (like Shawn in the video), but to highlight/avoid a typical shortcut (inside) as a good basis for everything that comes little later. right there with you - and it makes absolute sense, I know that you have done some extensive thinking and work on these related elements.. so even at the risk of 'mission' or 'concept creep' .. 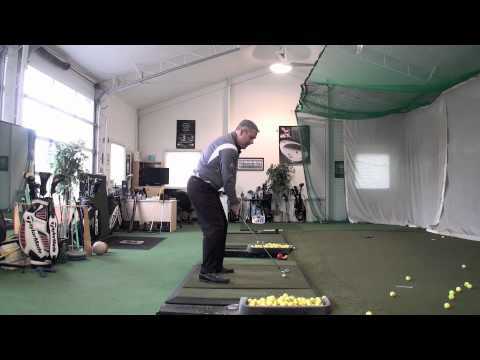 I hope that looking at this drill in context helps WIG friends and Guests .. find things that can help them better use this drill and/or find 'next steps' if needed to make their swings better ..
and it would be interesting to see which additional 'swing dots' you would connect .. you have a great logical mind!